Arista Transcoder is a really cool video converter for GNOME. It comes with a huge list of presets: from iPod, iPhone, PSP, Playstation 3 to Android, Nokia, DVD and lots more. 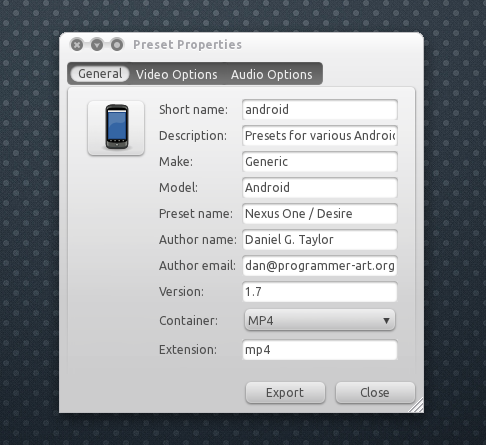 It supports MP4, WebM, Matroska, AVI, Ogg, FLV (codecs - video: H.264, VP8, MPEG4 / DivX, MPEG2, Theora, Flash Video / audio: AAC, Vorbis, MP3, FLAC, Speex, WAV) formats and it can rip straight from DVD or v4l (Video 4 Linux) devices too. 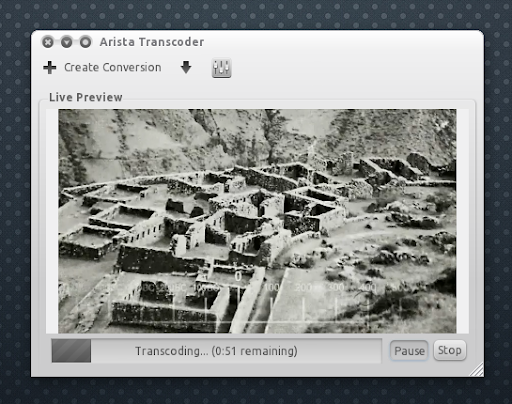 A new Arista Transcoder version (0.9.7) was released yesterday with a revamped user interface ( now you can click on a device in the "Live preview" to select the preset for it), the ability to edit and manage device presets, export presets and lots of small fixes. 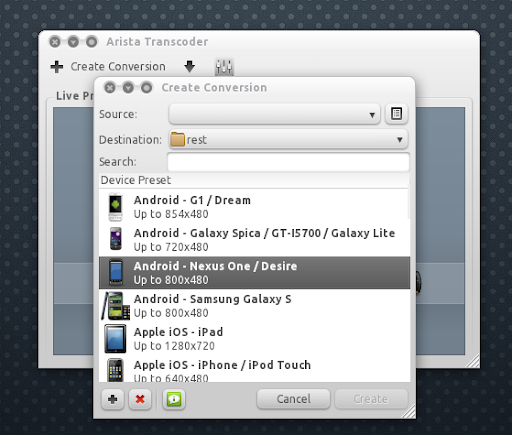 Because I couldn't find any PPA for Arista Transcoder 0.9.7 and I had some time last night, I've created a PPA for Ubuntu 11.04 Natty Narwhal and 10.10 Maverick Meerkat (it didn't work on Ubuntu 10.04 in my test). The PPA will only provide Arista. 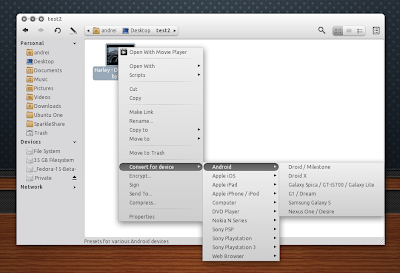 If you don't use Ubuntu and Arista 0.9.7 is not yet available in your distro repositories, you can download Arista from here, extract it and double click the "arista-gtk" file. 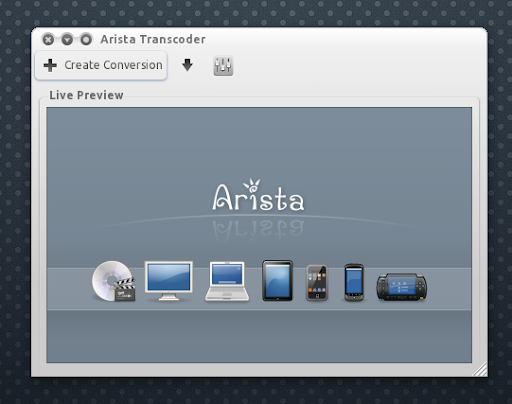 To make sure you have all the Arista dependencies installed, you may want to install whatever Arista version is available in your Linux distribution repositories (install it just for the dependencies). Thanks to Daniel G. Taylor for the tip!